New construction in Franklin TN is booming. Many new neighborhoods are popping up. It's difficult to know where to look. We've created search pages for each price point to make it even easier for you to find Franklin new construction in your price range. 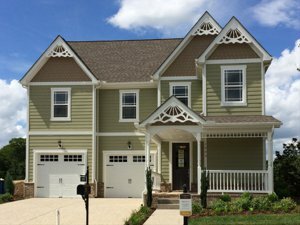 There are a few neighborhoods selling Franklin new construction priced $300,000 - $399,999. This page automatically updates when these homes hit the market. However, you will find most builders list their homes before they've even begun construction. Builders like Ryan Homes, don't even begin constructing their homes until they have a written binding contract. Then the process can take up to 7 months. A few builders in the area build market homes, more commonly known as spec homes. These are homes they have already started building in the hope of securing a contract before completion. While these searches are created to make it easier for consumers to find the new construction homes they desire, buyers should always have the assistance of a buyer's agent to help them with a new home purchase. While many builders will stand firm on their base price, a buyer's agent may be able to negotiate additional upgrades at a reduced price; depending upon the market. Additionally, Franklin Homes Realty LLC will discount our commission on the sale of your existing home if you use us to buy a new home. Buyer's agents are paid by the listing brokerage or builder, so there's no cost to you for the service. Discounting our commission is just one way we are helping buyers in this very competitive housing market. When you're ready to buy new construction, call Franklin Homes Realty at (615) 495-0752.